Affectionately referred to as "THE U.A. E.P. ", this is where the recorded career of Christopher Milk properly begins. Co-produced by JOHN MENDELSOHN and JOHN GUESS (who would apparently go on to a fruitful producing/mixing career in the field of country music), there are many who consider this their finest moment. 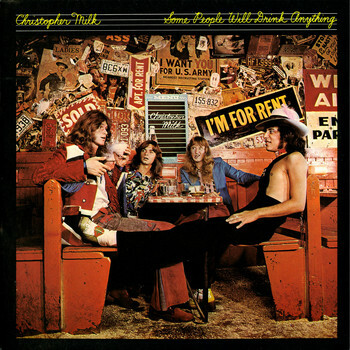 The packaging was beyond deluxe, featuring a gatefold sleeve (featuring fine photography from NORMAN SEEFF), a mini-poster (replete with glowing words of praise from RICHARD CROMELIN and BEN EDMONDS), and an inner sleeve featuring photos and factoids on the then-current version of the band. Ever since the birth of Christopher Milk in the dorms of UCLA at least two years prior, there were personnel changes aplenty. In fact, even by the time that this E.P. 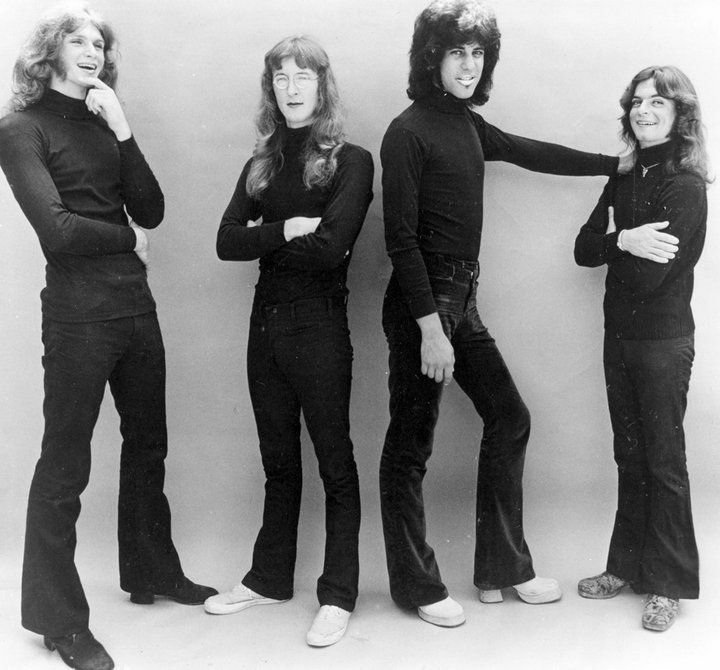 was released, drummer TRES FELTMAN was being replaced (by GEORGE DRAGOTTA, pictured above and in the accompanying photo) and MR. TWISTER was unceremoniously being shown the door. 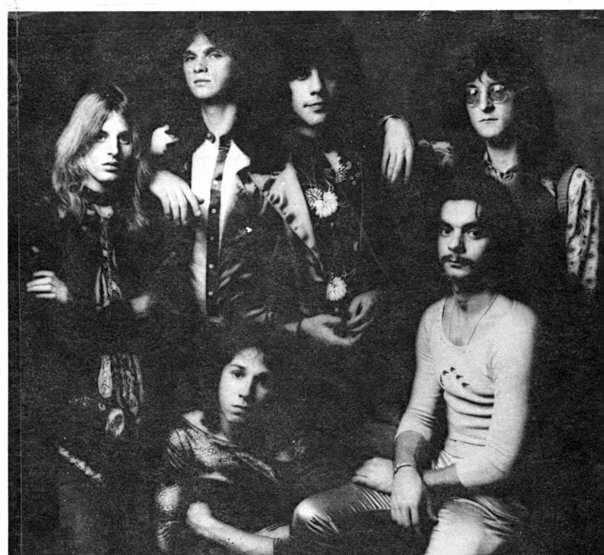 DONNIE ALVARADO would also come to part ways with the band before their next recorded effort, "Some People Will Drink Anything". NOW AVAILABLE AS A 320kbps MP3 DOWNLOAD FROM 7DIGITAL and RHINO/WARNER BROTHERS! CLICK THE ALBUM COVER ABOVE TO GO TO THE 7DIGITAL WEBSITE! "Speak Now Or Forever Hold Your Peace" b/w "I Want To Hold Your Hand"
For all intents and purposes, the genesis of the swansong single was a bit of a tug-of-war. John recalls: "David Berson wangled us a small budget to try to record a hit single, the only thing that could keep his evil superiors from giving us the bum's rush. We did my glam rock genre exercise 'Dynamite'. The record company rolled its eyes and sais it didn't think so. We tried again, this time with Terry Reid's strangely catchy but chorus-less 'Speak Now Or Forever Hold Your Peace'. I asked too much of Surly Ralph as a singer, suggesting that we modulate up twice rather than down. He wound up sounding like the guy from Yes on helium, distracting from his perfectly gorgeous bottle-neck guitar work." No matter; many would come to regard their version of "Speak Now.." as being nothing less than the definitive one -- and many would claim that this was their greatest recording. 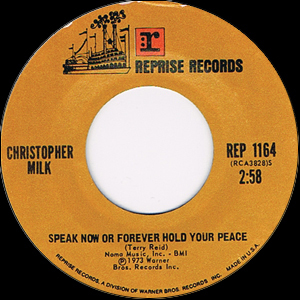 Despite the promotional efforts expended by the band to gain airplay, its failure to chart would bring the particular ambitions of Christopher Milk to a close. 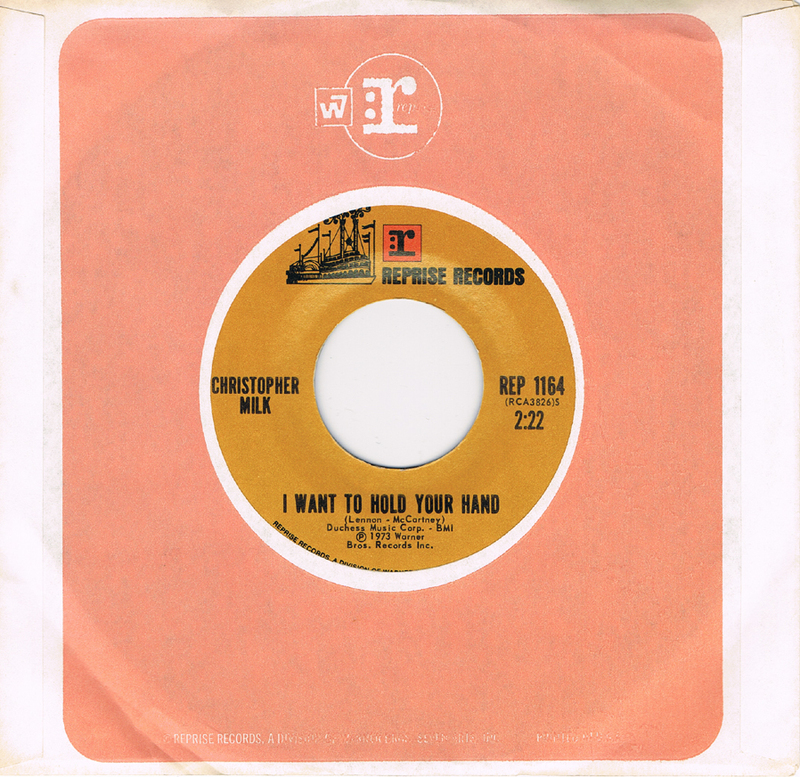 As if they were already sensing that this moment that could not be wasted, they chose a grand send-up of The Beatles' "I Want To Hold Your Hand" as the flip-side. 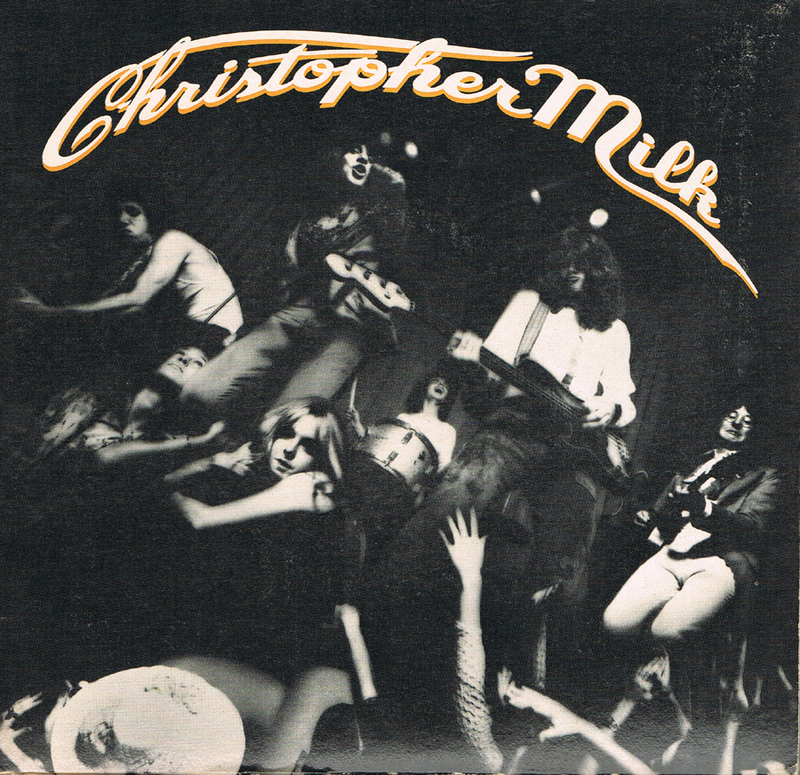 Aping the then-ubiquitous vocal stylings of Bob Dylan and Leon Russell, this overamped piss-take was the ultimate declaration of independence from an industry that presented the square peg of Christopher Milk with the round (yet ill-fitting) hole of dismissal. In quoting the Macmillan Dictionary, Wikipedia interprets the meaning of "hallelujah" as "a word expressing happiness that a thing hoped or waited for has happened." For Christopher Milk, I offer a most sincere "Hallellujah" -- and hope that, with time, more shall come to appreciate the "happiness" as I have.